2019 UNITY Midyear Conference – UNITY, Inc. 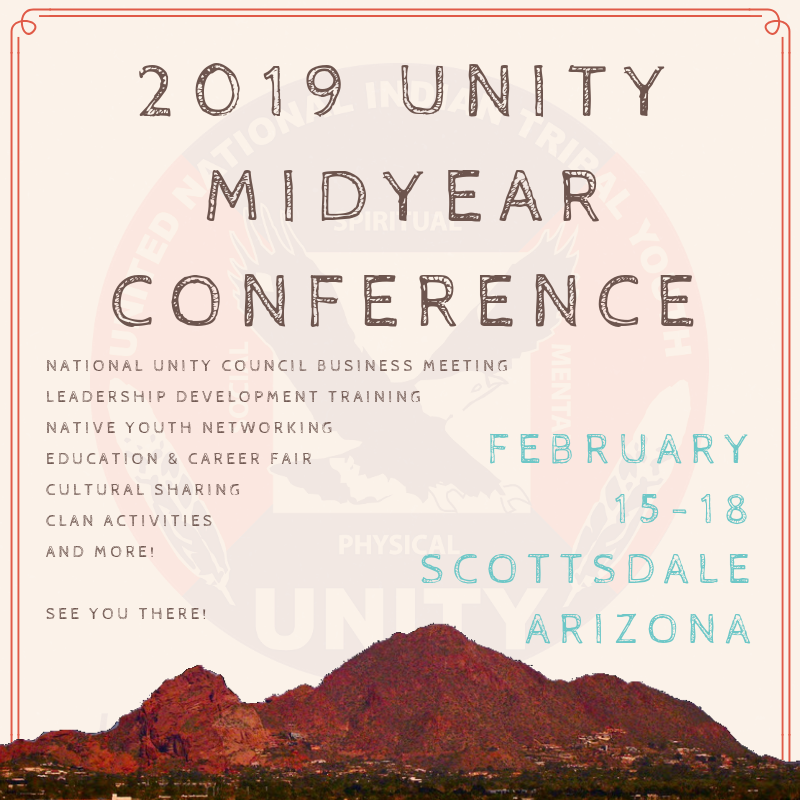 Registration is OPEN for the 2019 UNITY Midyear Conference set to take place February 15-18 at Embassy Suites by Hilton Scottsdale Resort in Scottsdale, Arizona. More than 300 attendees are expected for the annual gathering that promotes a program focused on youth leadership development, training for youth leader advisors, networking, and cultural exchange. Additionally, youth leaders will provide feedback to help shape content for the 2019 annual national conference. Have Questions about the Upcoming Midyear Conference? If so, View/Download the 2019 Frequently Asked Questions (FAQ) pdf. BOOK YOUR HOTEL SUITE! CLICK HERE! Did You Know: Attendees can lock in the Early Bird Rates by submitting a Purchase Order to UNITY Office? Email [email protected] today to save!